South Korean technology giants Samsung are free to continue selling products in America following a failure by rivals Apple to attain a ‘permanent ban’ in the US District Court, in what appears (hopefully) to be the beginning of the end of their long-running patent disputes this year. Lucy Koh, the US District Court Judge who recently vowed to work with the two companies to reach a resolution, claimed that the Cupertino (USA)-based company did not have the rights to ban up to 26 offending Samsung devices from the American market, noting that due to any potential feature ‘infringements’ would be seen across too many devices, and made a potential sales ban too widespread to enforce. 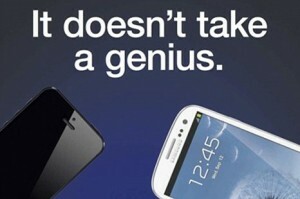 In Apple’s favour, however, Koh also dismissed Samsung’s request for a retrial on the grounds of ‘jury misconduct’. The case is a culmination of a post-decision dispute that has been ongoing for 4 months, after Samsung’s 26 products in question were dubiously found guilty of infringing on a number of Apple ‘patents’, and were hit with a $1.05b (£665m, KrW1.1t) fine, from which Apple then appealed to have the fine trebled, and a permanent sales ban, though now appear to have failed in both. While the former issue still needs to be resolved (with Apple and Samsung respectively appealing for an increase and decrease in the sum), it appears as though the case is finally being put to rest. The same could be said for Samsung’s efforts in the European market, as they announced on the same day that they are dropping all ‘product ban’ requests against Apple for patent violation in the European market (citing Germany, France, Holland, Italy and the UK), claiming that with a goal to enable ‘consumer choice’, they will now be looking to compete with Apple on the shelves of Europe rather than in its courtrooms. With Samsung’s decision likely to leave them coming out a lot stronger in the PR stakes, is the court decisions against Apple and their rival’s apparent fearlessness in the market a sign of further decline from the American giants?